Georgian style building in West End in a very central location. 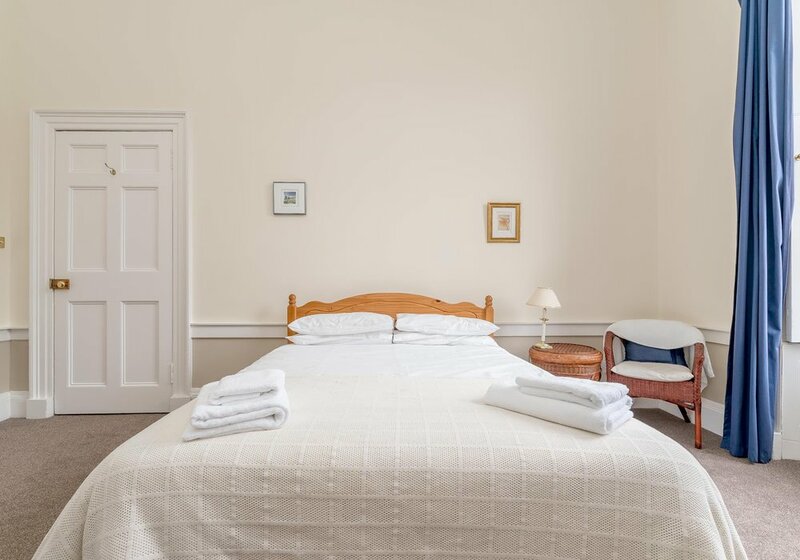 Step back in time at our Georgian style holiday apartment in Edinburgh city centre. 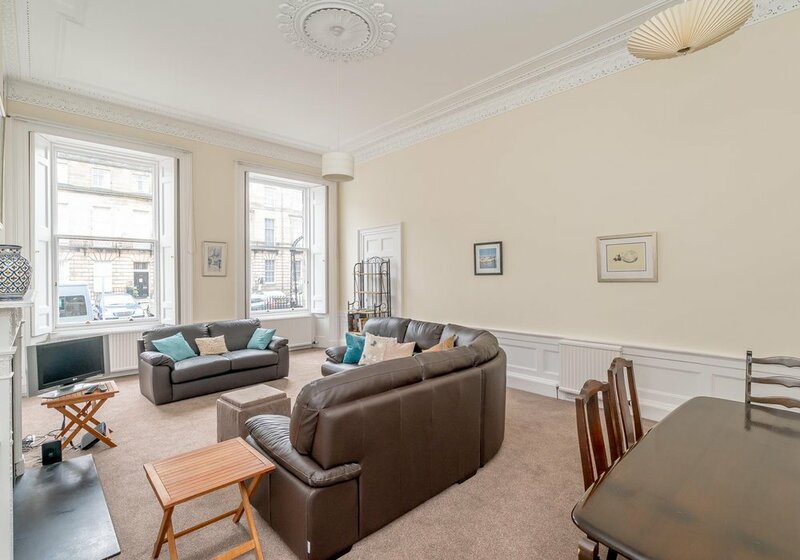 Situated in Edinburgh’s classy West-End, this luxury one-bedroom holiday flat in Edinburgh is the perfect accommodation for a weekend getaway. Welcome to our timeless holiday apartment. Step behind the front door, where you’ll find a spacious, fully refurbished home-away-from-home. The spacious living room, decorated with touches of blue, features two large leather sofas, a decorative fireplace, and a six-person dining table. Here, you can relax after a day of sightseeing while you watch satellite TV, admire the views from the expansive living room windows, or enjoy your evening meal at the dining table. 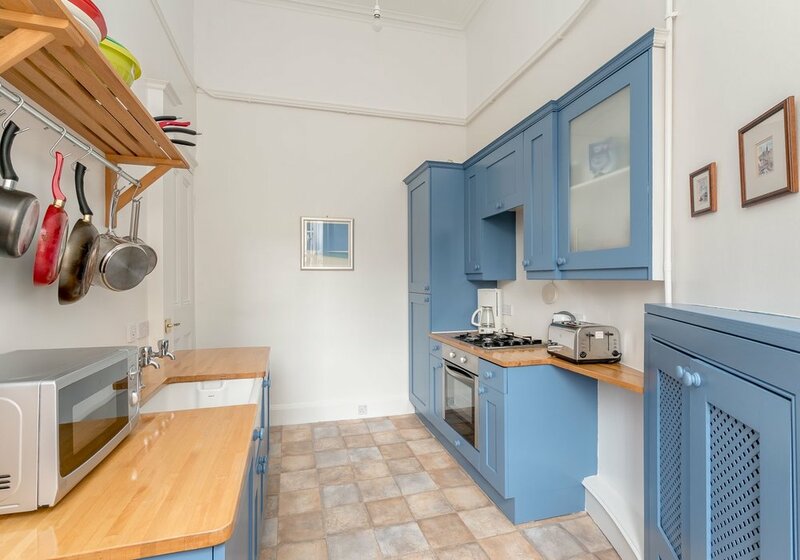 Move into the sizeable kitchen. 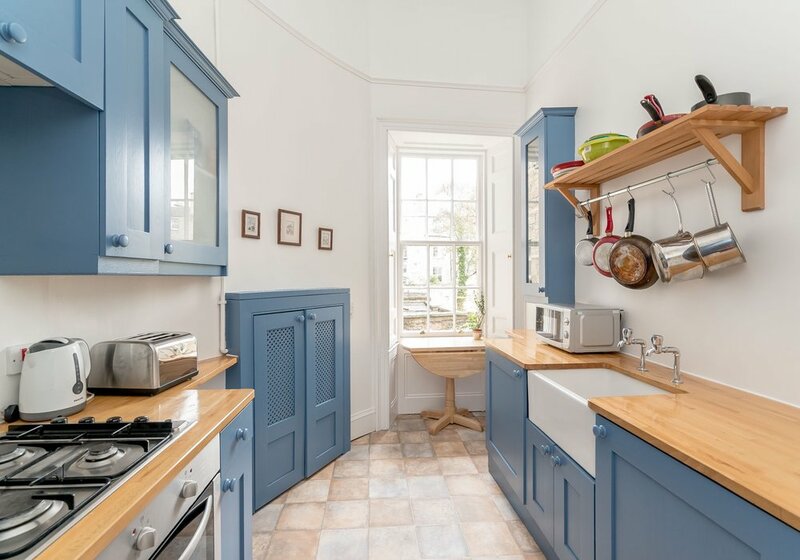 Featuring blue painted cabinets and wooden countertops, this is one beautiful kitchen. 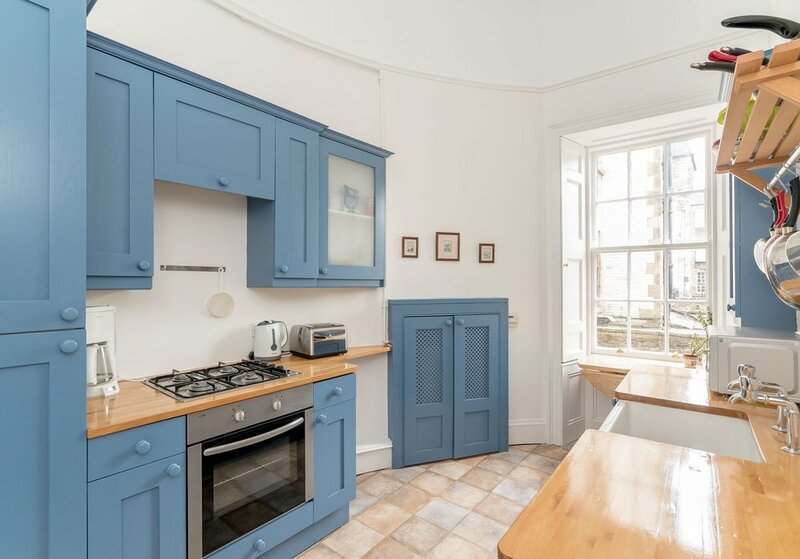 As a self-catering apartment in Edinburgh city centre, the kitchen comes fully equipped with everything you need to make a delightful evening meal -- pots and pans, modern gas-burning stove top and oven, fridge and freezer, dishwasher and microwave. It’s the perfect space to enjoy cooking with family and friends over a glass of wine or two. 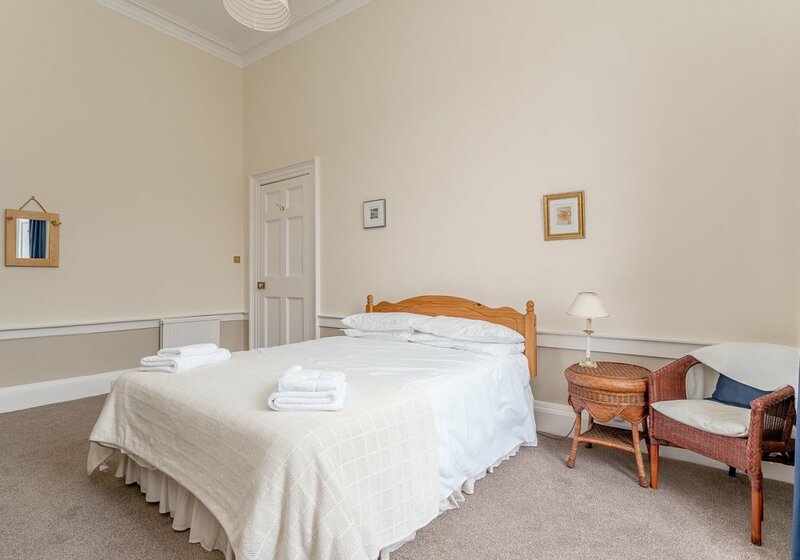 This holiday apartment the ideal choice for a luxury self-catering Edinburgh stay. This holiday apartment has one, spacious master bedroom. Slip beneath the covers of the room’s king size bed and get ready for a peaceful night’s sleep. Wake up to views of the neighbourhood and morning sunshine from the room’s massive windows. You can store your clothing and suitcases in the beautiful, wooden wardrobe or discover your new favourite novel from the room’s bookcase. 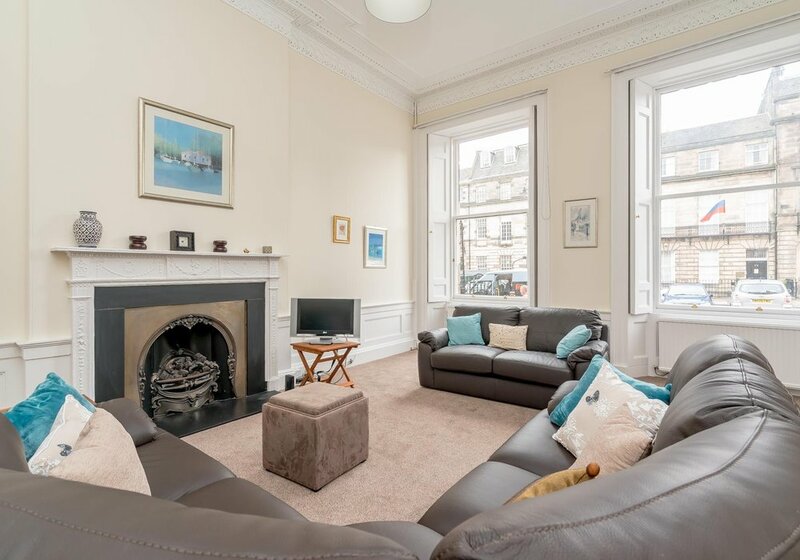 Our luxury one-bedroom holiday flat is in one of Edinburgh’s most desirable neighbourhoods. 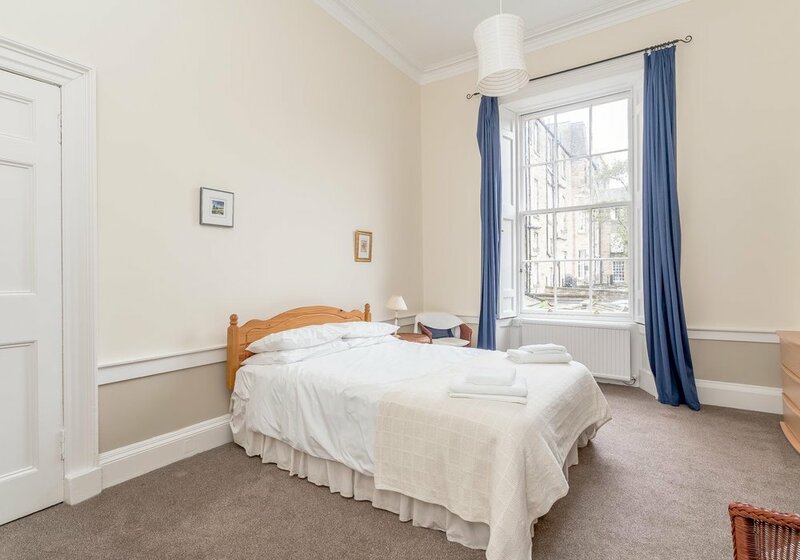 The West-End is within easy walking distance, less than 500 metres, to Princes Street as well as Edinburgh Castle, Royal Mile and Princes Street Gardens. Slightly further afield, only 1.1 miles away, is Edinburgh’s acclaimed National Museum and Festival Theatre. Staying in the West-End means you won’t need to take public transport to reach Edinburgh’s top attractions. The West-End is also home to some fantastic boutiques, Michelin-star restaurants, and independent cafes. There’s also a nearby grocery store, banking machine, and airport bus stop. If you’re travelling on from Edinburgh, you can easily walk to Haymarket, one of the city’s main train stations, and catch a train to explore Scotland or England. Haymarket station is also very convenient for day trips from Edinburgh. Ready for a truly luxurious stay? 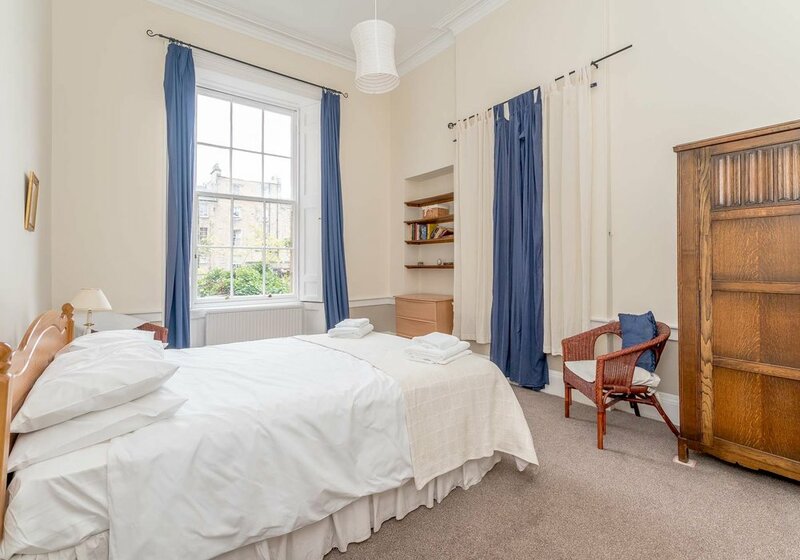 Book our elegant one-bedroom holiday apartment in Edinburgh’s classy West-End. And, don’t forget the little extras. We’re on-hand to help you arrange taxi transport, make restaurant reservations, book Highland tours, and provide Champagne on arrival. Simply speak to our dedicated property manager to tell us about your unique needs. - The property must be left in a neat & tidy condition with all rubbish removed, used pots and pans washed and returned to the cupboards, etc. Extra charges apply if any additional cleaning is needed after guest departure. - Full payment is required six weeks before arrival or immediately after booking if booking is within six weeks of arrival date. - Sofa bed can sleep two guests. A £30 surcharge for the use of the sofa bed is payable on booking. - Internet connection is provided as a courtesy of the landlord and the quality of the service cannot be guaranteed. Internet connections can sometimes become slow or unavailable. This disruption is beyond our control. 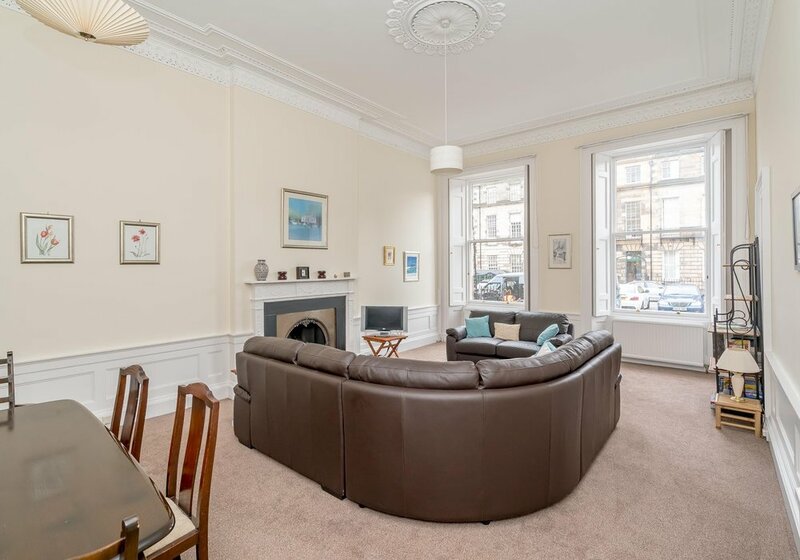 This is our fourth visit to this lovely flat in the centre of Edinburgh's New Town. Walking distance to all major city sights. Near good transportation for travelling inside and outside the city. All amenities within walking distance. Comfortable bed and very clean linens. Our Greeter was a very pleasant woman. My only complaint is that the kitchen needs a good cleaning in particular the outside of the kettle (which I tried to clean) and of the coffee machine; the handles of the cupboards are very sticky and unpleasant to touch. The new furniture is lovely as is the new paint job. I would, however, like to add that I object to being asked to pay a £20 Greeter fee for arrivals from 2 o'clock onward; from 6 o'clock onward would be more reasonable. However, given that I have rented this flat (and also used Edinburgh Flats) many times in the past, Edinburgh Flats were most accommodating and cancelled my £20 fee. Thank you for that consideration Edinburgh Flats. 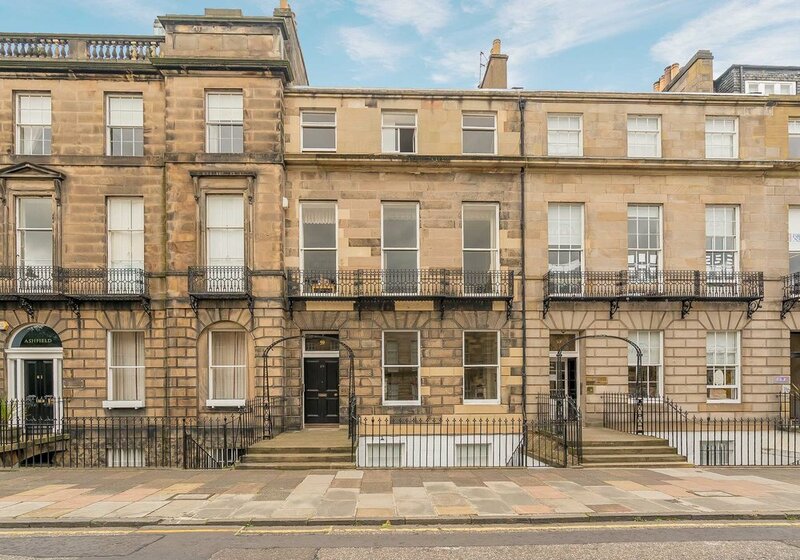 I would highly recommend Edinburgh Flats and also this lovely property for anyone coming to visit this beautiful city. Thank you Kathleen for your review and comments. We are sorry that you found the kitchen to be in need of a clean, we hope that we have rectified that now - thank you for letting us know. Hope to see you again sometime soon in Edinburgh. This flat exceeded our expectations - large, sunny, and perfectly located! The bookings team could not have been easier to work with, including meeting us in the evening to get us the key. Thank you! Very nice flat in great location, walking distance to city centre and to any shop that was required. Flat is well kept and very clean. Arrangements to collect the keys with no issue. All carpets just renewed. Welcome kit for breakfast included. Wifi was great. Quiet and nice area. Would just recommend curtains in the living room, a renewal of the sofas and a hanger (maybe on door) in the bathroom. 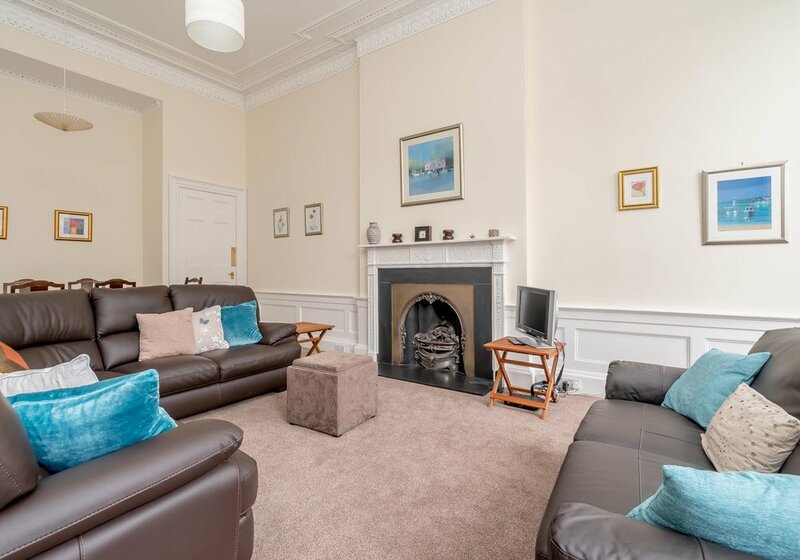 This is a spacious flat right in the centre of Edinburgh and offering everything one could require for a visit to this wonderful city. Extremely large living/dining room; large bedroom with a comfortable double bed; good-sized and well-equipped kitchen. Although the bathroom is small, the shower stall is a good size. Lots of space for clothes and suitcases. 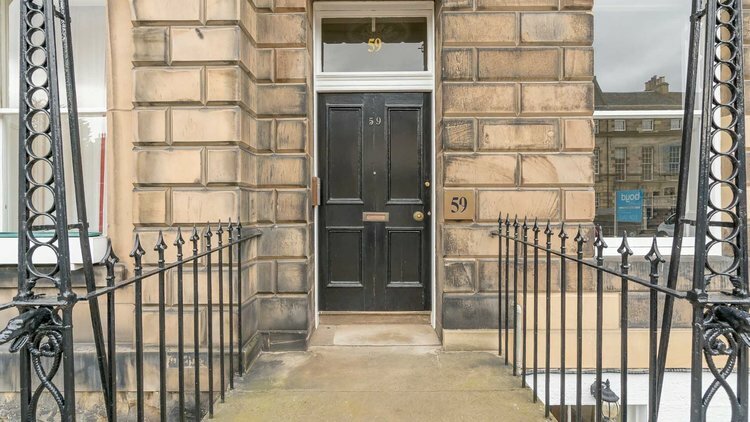 Walking distance to Princes Street and all important tourist spots. 5 minute walk for an excellent variety of buses and for the new, elegant tram service. Good service response from Edinburgh Flats - the lights fused and we had to phone for their help. Within 5 minutes an appropriate response was made and we had light once again. Highly recommend this company and this lovely flat. In fact, this is the second time we have rented it and would do so again. 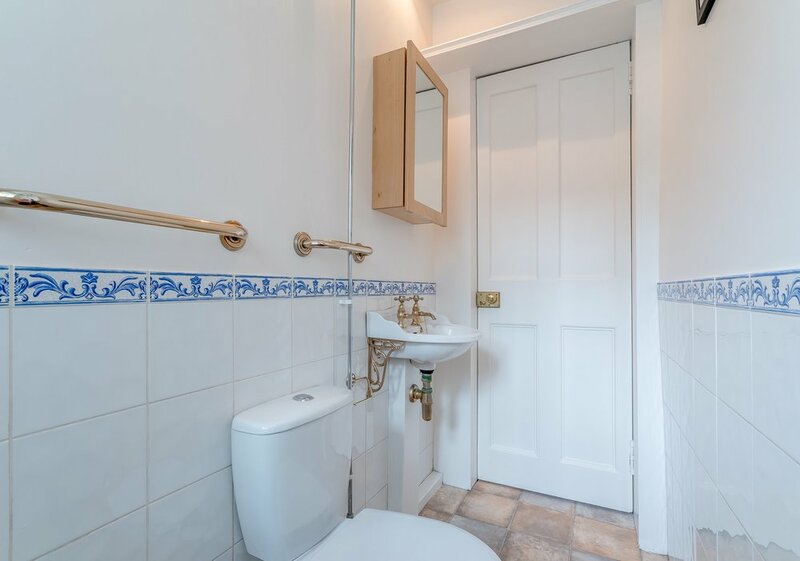 Very comfortable, spacious flat in westend quiet location. Enjoyed our stay very much. The apartment is an old style house with all the new facilities. Kitchen had all the essential equipment that made our stay comfortable. The best part was location of the apartment. 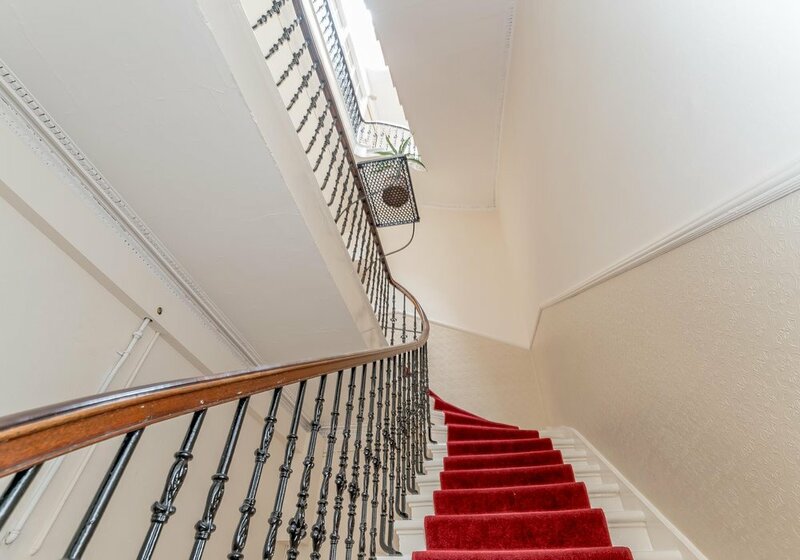 Minutes walk to all west end cafes, restaurants and shopping outlets on princess street. Buses and tram stop nearby connecting to rest of the Edinburgh suburbs. Literally a dream! All it was awesome, and the guys at Edinburgh-flats are lovelly! Thanks a lot for our days in the incredible Edinburgh! We were welcomed by Angie and the added personal touch of her arriving to let us in and show us round made a huge difference. 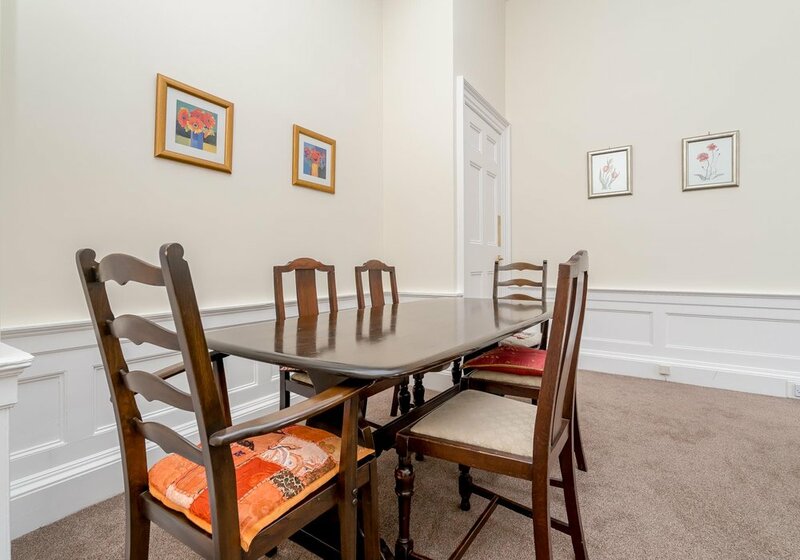 The flat was comfortable and ideally located fro convenient access to the rstaurants of the West End. 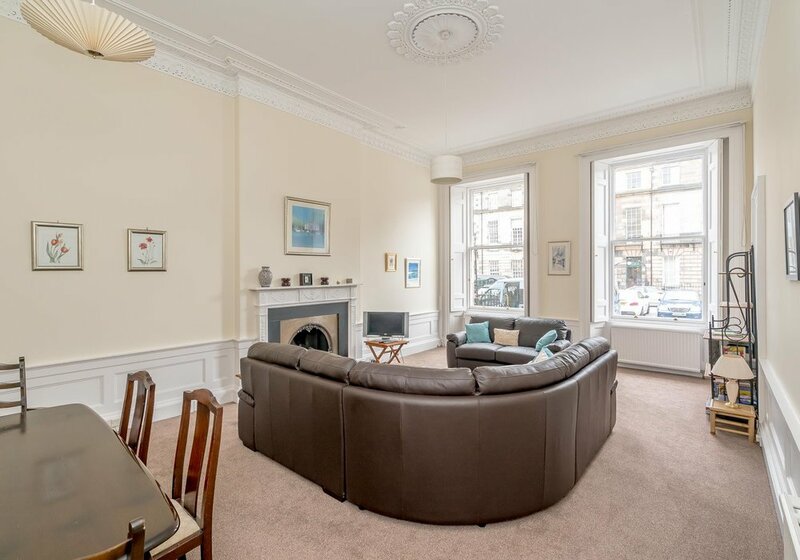 Very easy location to walk out from and enjoy the Edinburgh streets and parks. 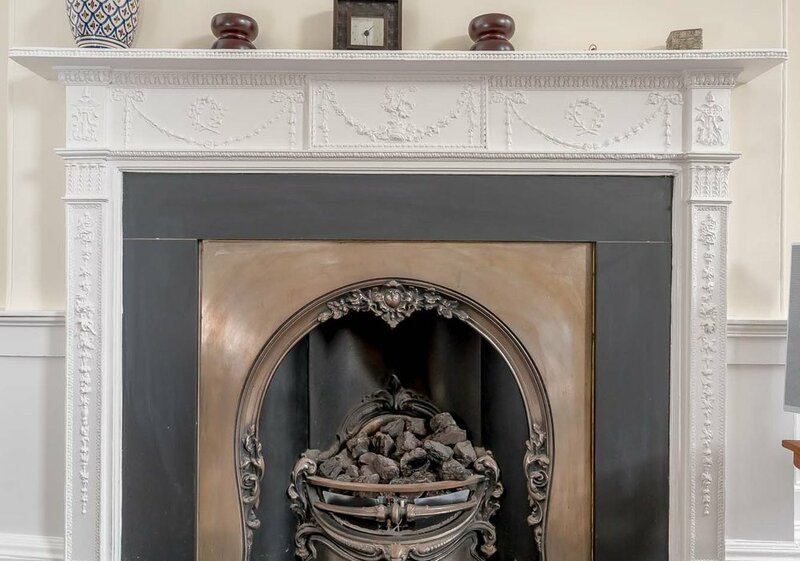 The difference between very good and excellent lies in the detail, e.g., no lounge curtains, window frames in need of painting, the sofa has seen better days, occasional tables out of character, paper product labelling only partially removed from wc pedestal. We do want to emphasise, though, that on the whole we were delighted with the flat and thoroughly enjoyed our holiday. The provision of coffee and biscuits etc. was a nice touch. Our personal contacts with the agency were very satisfactory. Very friendly welcome from Nina. 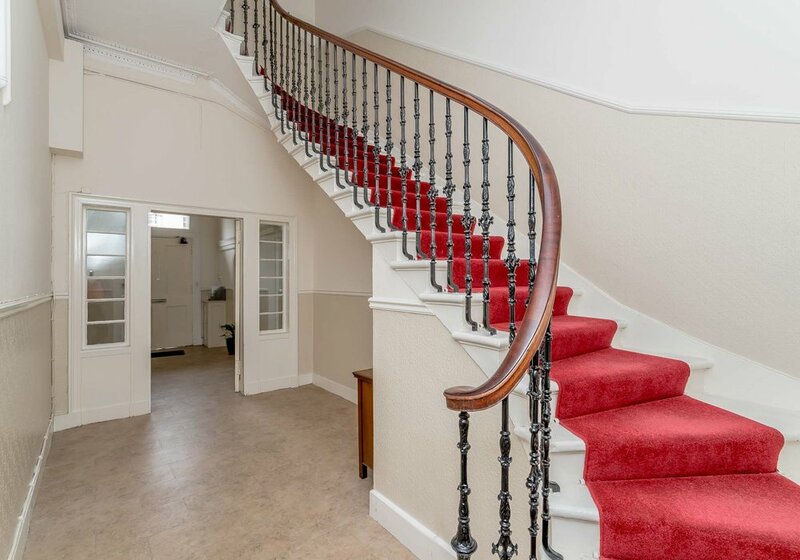 Beautiful quiet building in a central location, walkable from city centre. Very spacious bright living room. Could be done with a lick of paint throughout but very good value and would certainly stay there again. 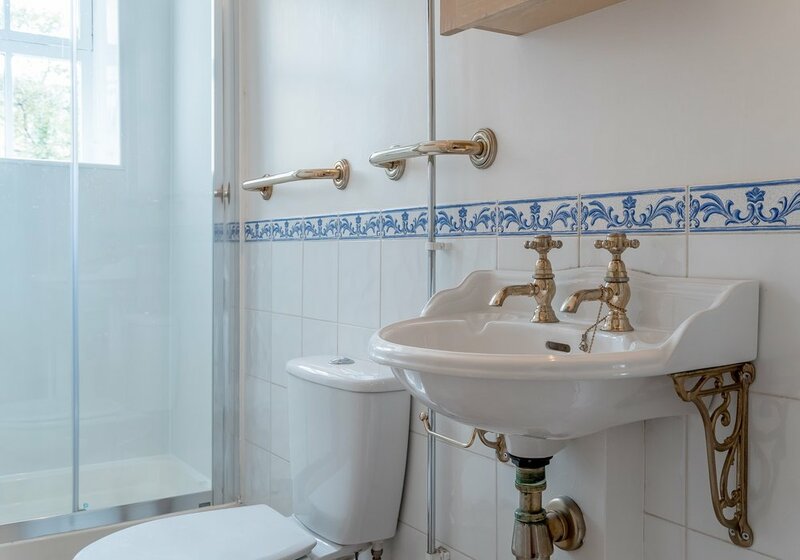 I was really pleased with the apartment, it is located on a beautiful street in the West End, within walking distance of the major tourist attractions. The apartment was large and comfortable, there were 3 adults and one infant in my party and we had loads of room. The pint of milk in the fridge was a lovely touch. I would definitely stay here again. The location at 59 Melville Street was terrific and extremely handy for all amenities. The large front room was excellent with plenty of reading material and games. I would, however, recommend a change of sofa, as it felt as if it was swallowing you when you sat down! Also a new mattress would not go amiss ... it's difficult sleeping on springs! The bathroom in general would also need a little upgrade. We enjoyed a week staying in this large one-bed flat. 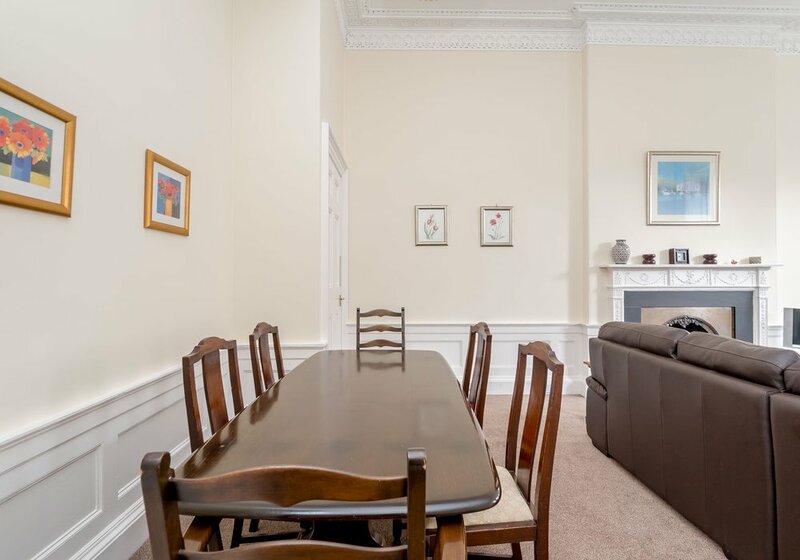 It has everything you need and is only a few minutes from Haymarket station and convenient food shops. Buses (and trams once completed) are in the next parallel road. This means the flat is really quiet, day and night. We'll be back. Mitchell's car hire near the station provided excellent service. Very nice spacious flat with excellent facilities. Couldn't be in a better location! Would definitely stay here again. 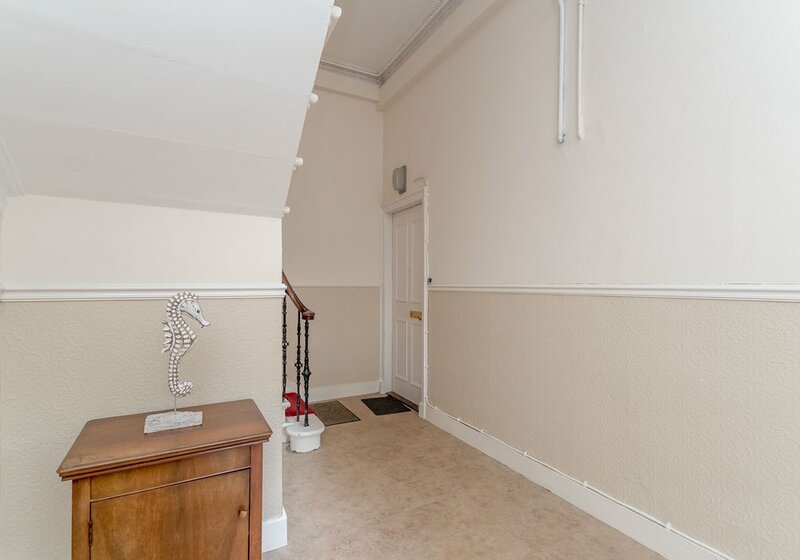 This spacious flat is situated in a very quiet residential neighbourhood with very short distances to Princess street and other city centre attractions. Overall, a very safe location which is ideal for families. There was a slight problem with the cold water tap in the kitchen needing a repair. Overall, very welcoming and flexible to our needs-really enjoyed our stay, many thanks. A spacious apartment, the photos on the web really don't do justice to the size of the grand rooms. The location is perfect for exploring the city and parking is easy if you drive. The apartment was really clean and warm although a little tired. It could really do with a new bed, quite uncomfortable. Would recommend this apartment to anyone wanting a city break. Perfect location for exploring the city and seeing the sights. Clean and very spacious. Very quiet street with good local shops and pubs. Defiently would recommend to anyone planning a visit. Really well placed for George Street and other venues for the Edinburgh fringe. Lovely and thoughtful touches like leaving milk and biscuits in the kitchen. Flexible about collection of keys which was a great help. Might have helped to know there was a nursery next door as frequently awoken in the week by noisy toddlers in the morning, but very peaceful and quiet at night. Myself and my family stayed at this flat and couldn't have hoped for a better place. 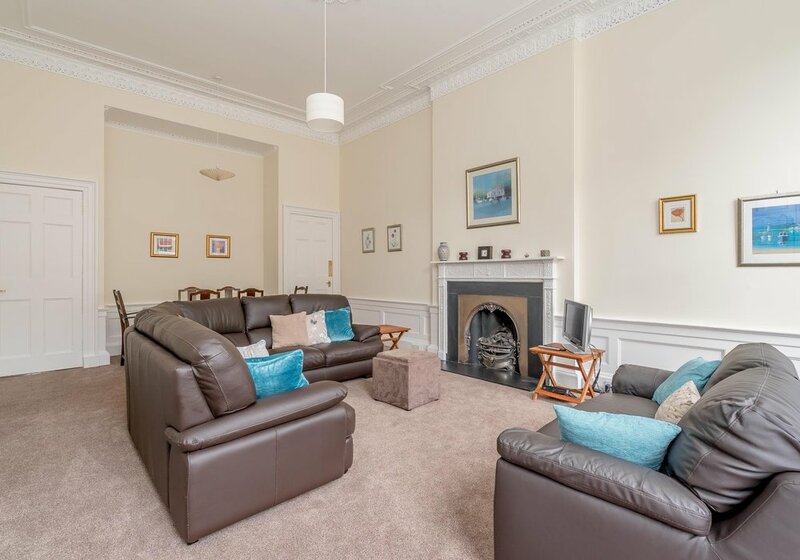 Really good value for money, brilliant central location and really lovely flat all round. The flat was spotless and very welcoming with tea, coffee, milk and biscuits on arrival which was an unexpected nice surprise after our long journey there. The agency was very accommodating with our arrival and departure time needs as well. 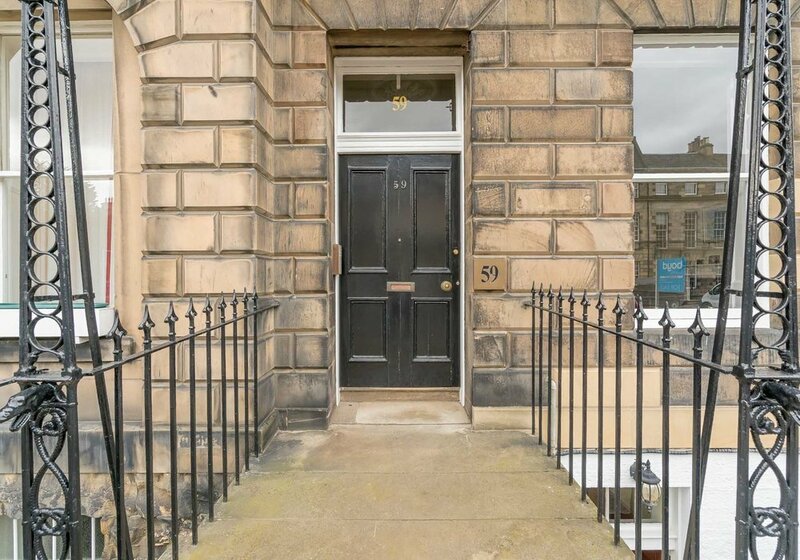 Would definitely recommend this flat and if we return to Edinburgh in the future would be more than happy to stay here again. 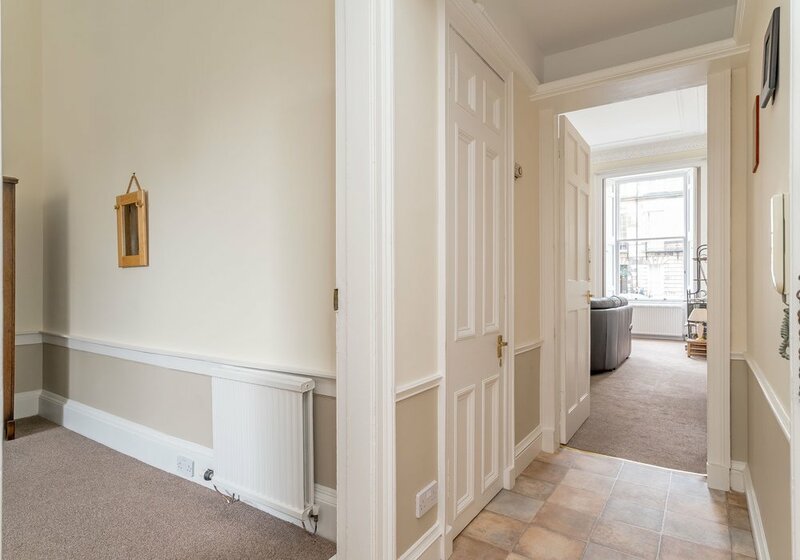 Spacious flat, very lightly and sunny. Despite its good heating system I don't recommend for winter. Windows, need to be repaired, specially in the kitchen where there's a gap and you feel like being on the street.